This episode is dedicated to the memory of Rev. Maria Dancing Heart Hoaglund, hospice chaplain and spiritual counselor who authored the books The Last Adventure of Life: Sacred Resources for Living and Dying from a Hospice Counselor and The Most Important Day of Your Life: Are You Ready? Maria died tragically after being struck by a car while walking in a crosswalk. 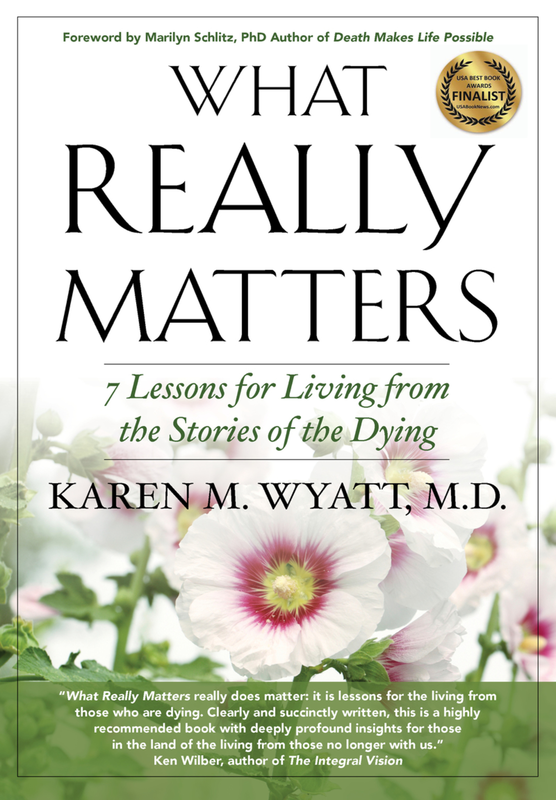 Maria has been a beloved member of the end-of-life community and in this episode Dr. Wyatt shares her personal recollections of Maria, reads excerpts from Maria’s books and plays a clip from Maria’s interview for End-of-Life University in 2013. Whether or not you have met Maria in the past, you will become acquainted with her beautiful soul and enlightened spiritual wisdom through the messages in this episode. Many blessings to all who love Maria and feel the pain of her absence in this physical plane. Maria left a beautiful legacy for each and every one of us that will continue to guide and inspire our work for the future.